The quickest way to a man’s heart is through his stomach they say! 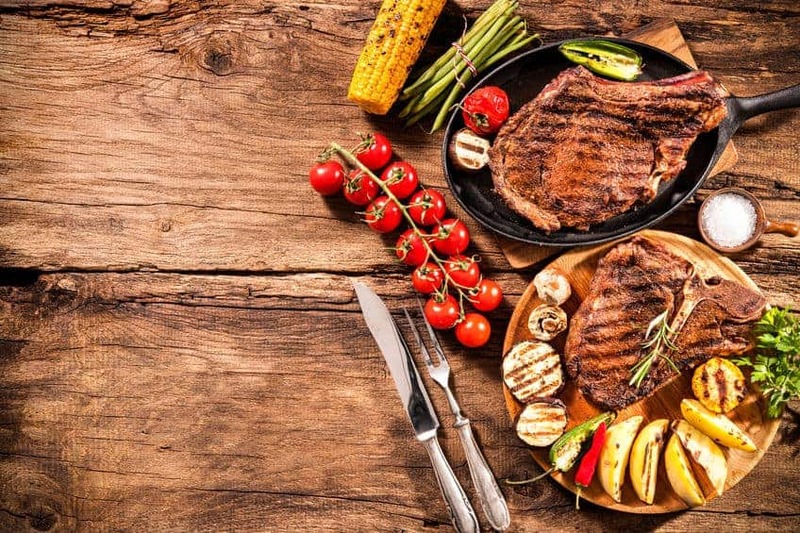 Most of the guys I know love anything cooked on the grill as long as it is smothered I’ve gathered up Best BBQ Recipes below. This Father’s Day treat dad to one of these amazing dishes below that will quickly become a family favorite. 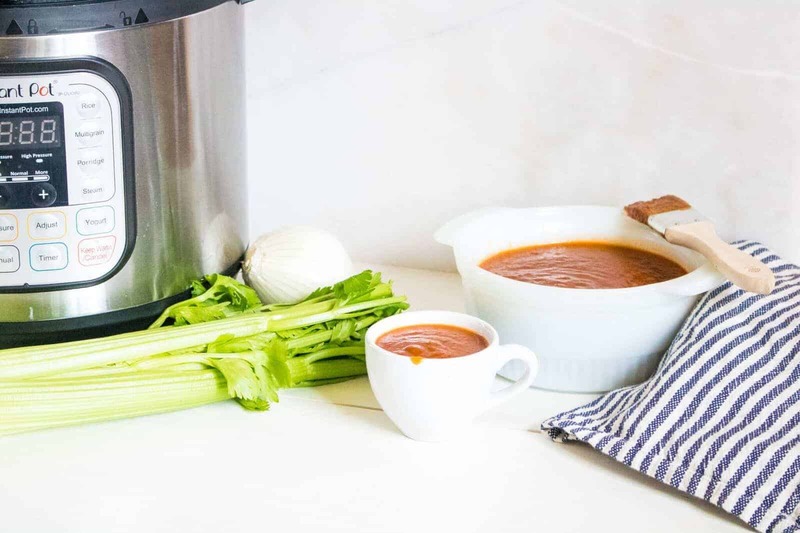 Don’t forget to use to make up a batch of this Instant Pot Barbecue Sauce Recipe before the big day arrives. From juicy kabobs to Dijon pork tenderloins, and we can’t forget a few of the classic side dishes to go along with it. 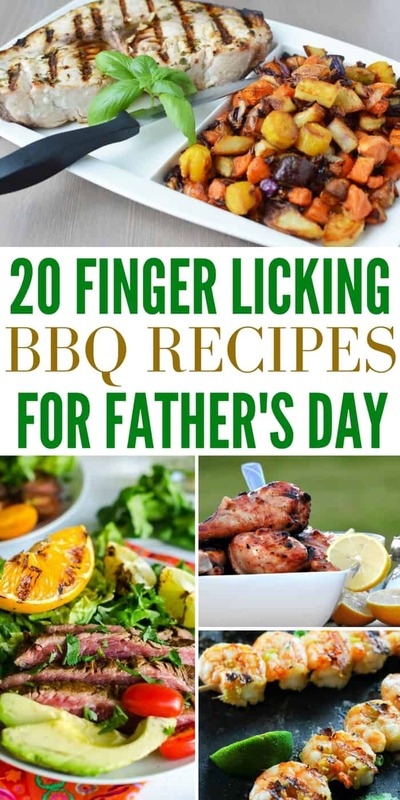 Plus if the man of the house is a grill-master let him put these recipes to the test this summer, and enjoy some fine eating, if I do say so myself. Chimichurri Steak| Juicy grilled steak topped with homemade chimichurri sauce. Add some grilled veggies and you have a hearty meal. Grilled Carne Asada| Flank steak marinated in a zesty sauce that is delicious. Make a double batch because you are going to want leftovers! Asian Sweet & Spicy Grilled Baby Back Ribs| Finger licking good! Be prepared when you make these ribs you won’t have any leftovers because they taste so good. Healthy Barbecue Beer Can Chicken Molasses & Beer BBQ Sauce| Tangy twist on your everyday beer can chicken. It’s fall of the bone juicy and has tons of flavor. Grilled Pork Burgers| Ground pork, seasonings, fresh red peppers, onions, sliced cheese and spinach leaves on a bagel bun. Great for your next tailgate party. Honey Dijon Pork Tenderloin| Perfectly charred tenderloin with sweet and spicy flavors. This goes great with some baked potatoes and fresh vegetables. Easy Grilled Pork Chops With An Olallieberry Thyme Sauce| These pork chops will wow your guests at your next get together. They look great and taste even better. Foil Packet Potatoes| Grilling potatoes truly enhance the flavor because it picks up some of that smokey flavor. You will love how easy these potatoes are to make and how tasty they are. Easy KFC Coleslaw| Creamy coleslaw with the perfect amount of zestiness! 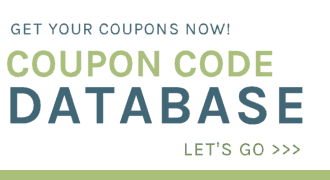 This would be great to add to any of your pulled meat sandwiches too! Gourmet Sirloin Burger| There isn’t much that is better than a backyard barbecue with homemade burgers. This mouthwatering burger also has homemade barbecue sauce that is going to knock your socks off! Barbecue Sauce Recipe| This is a a super simple Instant Pot Barbecue Sauce Recipe that you can make from scratch in less than half an hour. Hot BBQ Chicken Drumsticks| Tangy and sweet these chicken drumsticks are simply delicious! Add some potato salad and fruit and you have a winning meal. Soy And Lime Spicy Grilled Shrimp| Plump, juicy shrimp marinated in soy sauce, honey, seasonings and red pepper flakes. Enjoy with a side of rice or grilled potatoes. BLT Red Potato Salad With Avocado| This potato salad has lots of fresh ingredients and mouthwatering bacon! The creamy avocado takes it to the next level of awesomeness! Grilled Swordfish Recipe With Roasted Rainbow Vegetables| Simple yet fantastic completely grilled dinner. It’s fast and a crowd pleaser. Grilled Lemon Lime Pepper Chicken| Lightly sweetened with zesty lemon-lime flavors that are delectable. Pairs nicely with a pasta salad. Grilled Pork Tenderloin With Peaches| Sweet and savory combined with this juicy pork tenderloin. Cooking on the grill makes the flavors really go together. Serve with potatoes or dinner rolls. Grilled Steak Fajitas Recipe| Savory juicy steak with garden fresh grilled vegetables will keep your stomach full and your taste buds happy. Enjoy with a nice salad. Sweet And Smokey Coca-Cola Chicken| Brining the chicken in a coca-cola mixture is the winning ticket for this tasty chicken. Pair with a salad or grilled veggies! Blackberry Glazed Grilled Ribs| You will want to lick your fingers and plate clean after trying these ribs! They have just the right amount of smokiness and sweetness. These recipes sound so yummy, hard to make a decision!